Tom "SEEFARI" Carroll has been singing and playing Bob Marley’s music for more than 25 years and his annual tribute shows are consistently among his most well-attended. His one-night show has now stretched into multiple tribute tours every year. 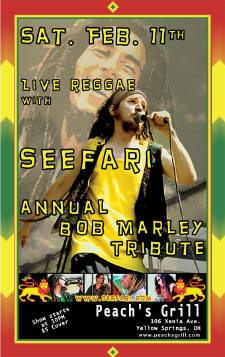 SEEFARI also offers a workshop “30 years with the Bob Marley songbook”. 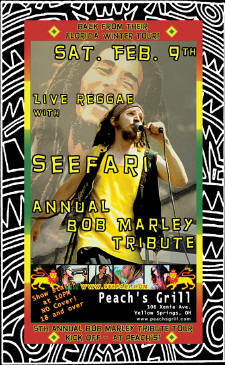 SEEFARI's Bob Marley Tribute is not an impersonation but rather a reverent interpretation. 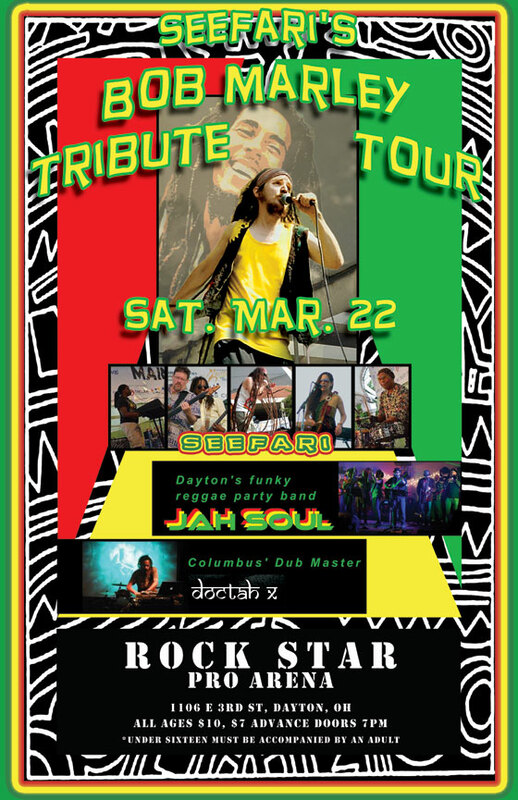 A loving tribute to the greatest reggae artist of all time, with an emphasis on Bob Marley’s classic songs and his enduring legacy as a song-writer, performer and originator of the musical style known as reggae. 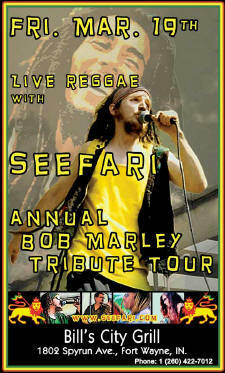 SEEFARI invokes the spirit of Bob Marley to bring the true roots reggae vibes to the modern era. 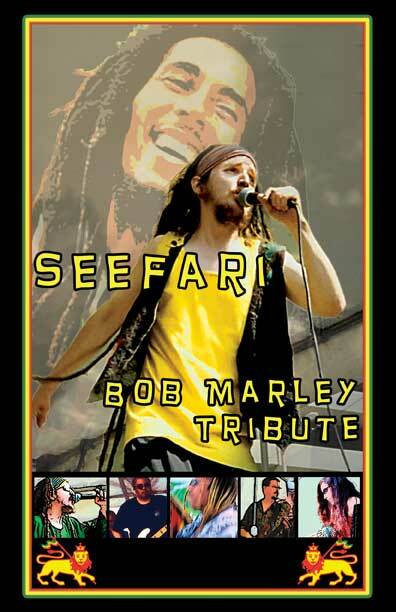 SEEFARI's Bob Marley Tribute is available with a full band, duo or solo acoustic. 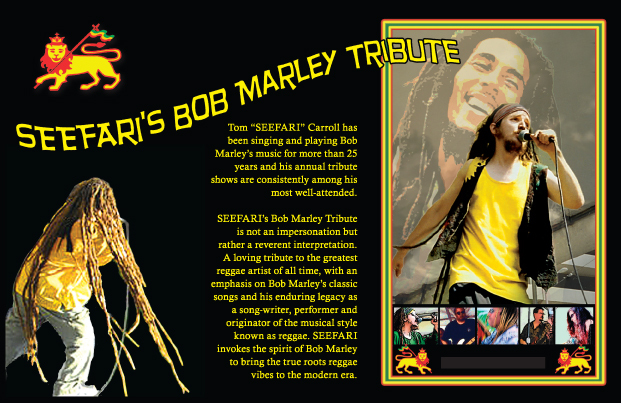 SEEFARI's reverent, soulful interpretations of Bob Marley's music earned him a 4-year headlining spot on the Houston, Texas-based National Bob Marley Festival Tour, where he performed Marley’s music for hundreds of thousands of fans at reggae festivals across the USA. 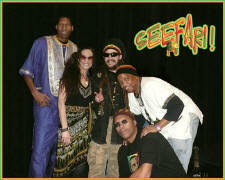 SEEFARI has worked on stage and in the studio with many Jamaican reggae legends, including Bob Marley's backing band The Wailers, Bob Marley’s song-writing partner Sangie Davis (Wake up and live) and Bob Marley’s percussionist Bongo Asher as well as Chicago’s Gypsi Fari Band, who recorded with Bob Marley in Jamaica. Bob Marley was on the international music scene for less than a decade before passing away at age 36, but the reggae superstar left an indelible impression on musicians and music fans in the same way as Elvis Presley and The Beatles. Marley was a major influence on local musician Tom "Seefari" Carroll, who has been at the forefront of the Midwest reggae scene since the early 1980s. 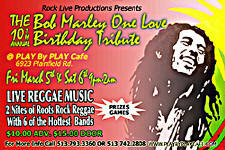 In honor of the Jamaican legend — who would've turned 64 on Friday, Feb. 6 — he has mounted his annual Bob Marley Day shows, at Oregon Express in Dayton on Friday, Feb. 6, and at Peach's Grill in Yellow Springs on Saturday, Feb. 7. Seefari took a few minutes last week to discuss Bob Marley and his enduring musical legacy. "We've been doing these Bob Marley shows forever. They're always fun. I've been doing some of these songs for 25 plus years and I still like playing them. Bob just wrote great songs. There's the whole mythology and the whole story of his life, which is all part of what made him so popular, but when it comes down to it, for me as a musician, it's just his really incredible songs." "The Bob Marley songbook is sort of the connective tissue for reggae, along with Studio 1 and some other reggae basics. What Miles Davis, John Coltrane and people like that are to jazz musicians, Bob Marley's music is really like that for reggae musicians. It's something everybody can relate to." "The whole sensibility of reggae is defined in Bob's music. He was really kind of a reggae fusionist in a way because he took reggae and added elements of blues, rock, funk, African music and even jazz. He was influenced by Bob Dylan and people like that and he found a way to be able to express all those things and still come out with one singular type of music." "There was a certain freedom in the way Bob wrote. A lot of his songs don't necessarily have a rhyme pattern. It's more about phrasing and conveying your message and things like that as opposed to just having to do it a certain way. If you watch one of Bob's videos, you see he never sang a song the same way twice. He was really about being in the moment and being in the spirit and for me that was probably the biggest thing." Tom and Melody were the perfect duo for our party. Our guests ranged from the age of 14-83! They could rachet up the music for dancing and tone it down for dinner. Everyone got up and involved including the 83 year old and a man who had never danced before! Those in their 40's, the majority of guests, all requested cards for future bookings, and my husband and I who were celebrating our 50th wedding anniversary were really glad we chose Reggae and Salsa over the typical "cover band". They set up quickly and were ready to play on time, and they quietly broke down the equipment after their time was up. 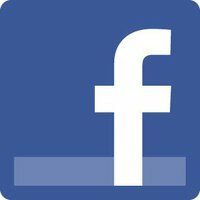 Very professional, friendly and talented couple.